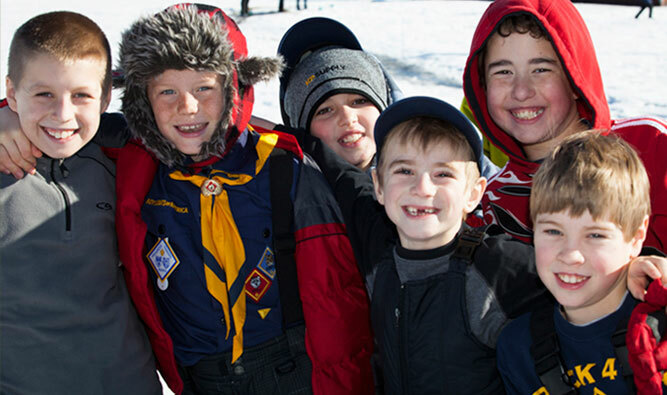 Cub Scouts is a year-round program where boys are introduced to the basic tenets of scouting. As a Cub Scout, you’ll earn awards and patches for everything from pitching a tent to paddling a canoe to operating a computer to building and racing wood cars. You’ll camp, hike, fish and learn knots. You’ll go on field trips to police or fire stations, volunteer at local food banks and learn about the importance of community service. Along the way, you’ll build confidence, discipline, leadership skills and great friendships. In Montana, there are dozens of Cub Scout dens, with some communities having several options. These dens make up packs that hold exciting events such as banquets, fairs, campouts and, of course, Pinewood Derby races. Parents, friends and leaders play active roles in the program as they encourage boys to live the Cub Scout motto to “Do Your Best.” It truly is a family affair. We invite any boy interested in having fun while learning valuable skills for the outdoors, school, sports and life to attend a local den meeting. Boys who start the program as they finish Kindergarten begin as Tiger Cubs. From there scouts move into the Wolf, Bear and Webelos ranks. After earning their Arrow of Light, they can become Boy Scouts. No quick facts at this time.